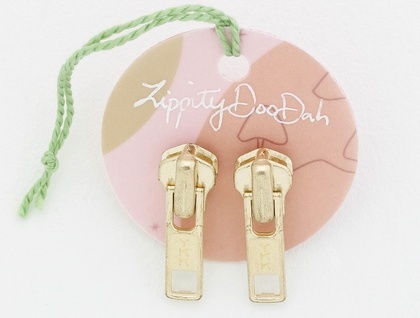 Zip earrings made from zip pullers! A little bit of fun for your ears. 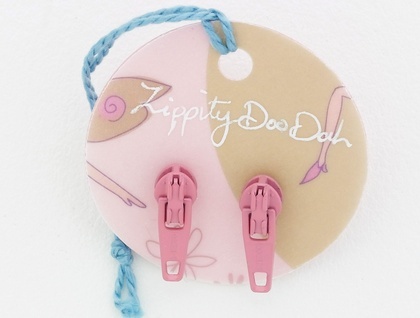 I save the zip pullers from the zips I use in my zippitydoodah flwer brooches and use them to make fun earrings. I use surgical steel ear posts and butterflies. There are several colour options and styles available depending on what I have at the time. Please specify your colour choice when you send through your delivery details or message me if you are looking for a special colour. Postage is included in the price. Items will be posted wrapped in bubble wrap. 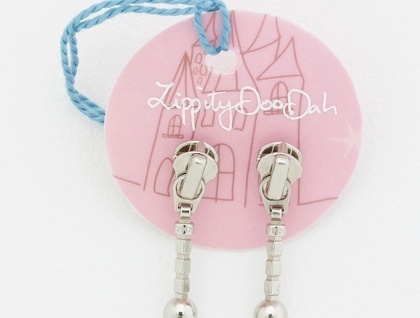 Price is $10 for one pair and $18 for two pairs.